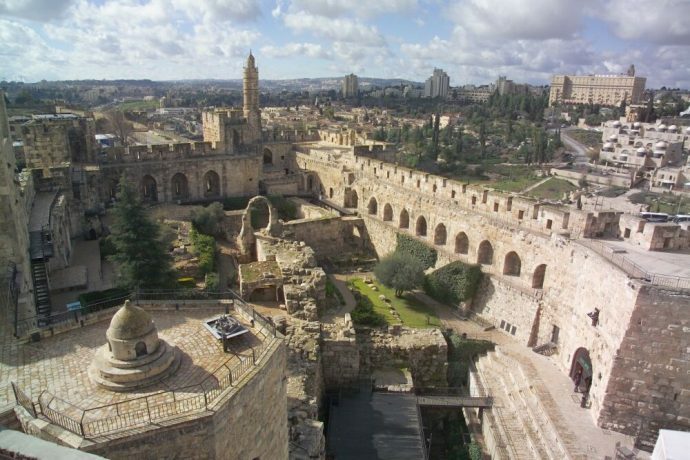 Tower of David (Jerusalem’s Citadel), located at the entrance to the Old City of Jerusalem has one of the most fantastic views you could ever wish to see. From the top, you can see the Old and New Cities of Jerusalem, Mount of Olives, Mount Scopus, the Judean Desert and even the Dead Sea. Whether you love archeology or not this should definitely be another location added to your must see list when coming to Israel. Tourists of all ages (yes, even your children) will love exploring the Citadel and seeing what has been standing more than 500 years. 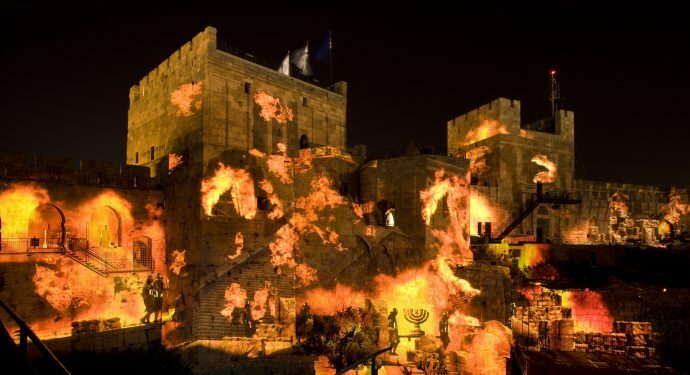 If we still haven’t convinced you to go check out Tower of David with those jaw dropping photos, we’re hoping this next part will! The Night Spectacular is a sound and light show that projects directly onto the stones of the walls. 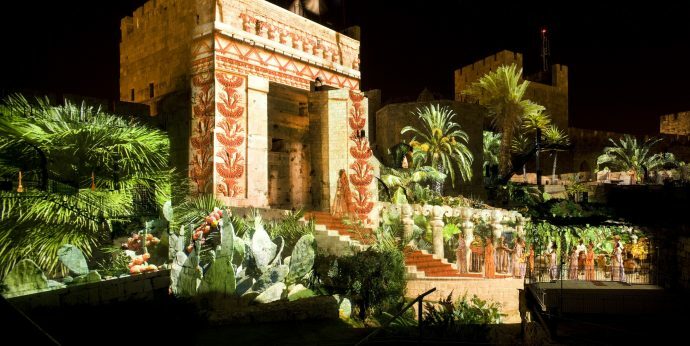 The show tells the story of Jerusalem with original music and extremely creative projections. 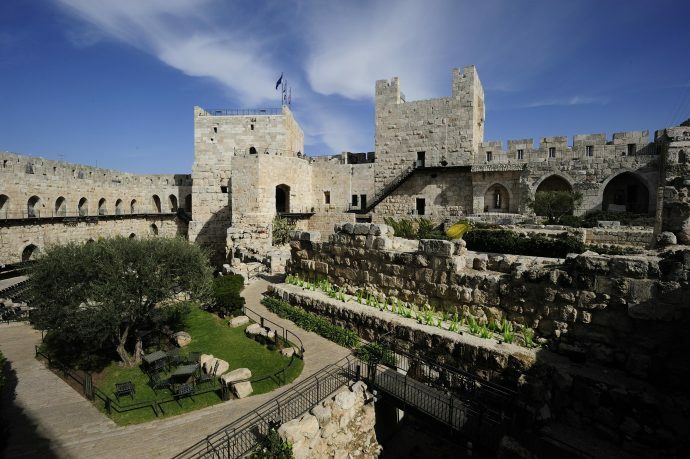 According to an international press release that the Tower of David’s PR department released, the production requires four advanced computer systems which operate twenty projectors, ten video players, ten video servers and fourteen speakers! Wow, no wonder this show is one of the greatest around!